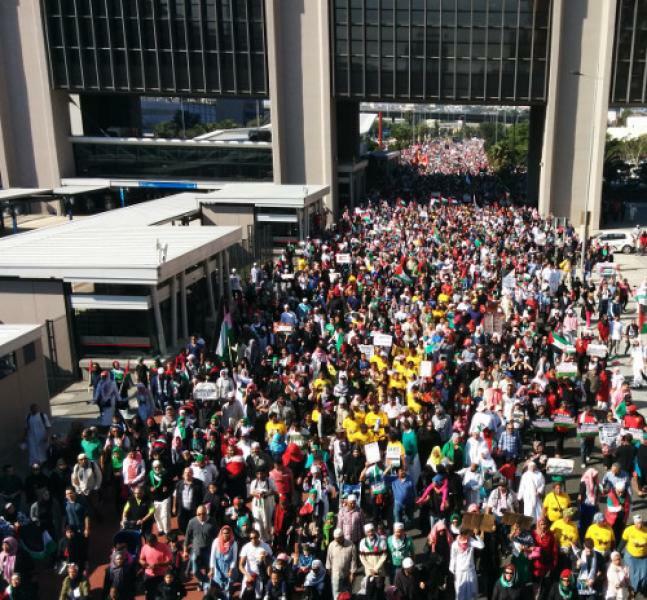 South African march for Palestine: all expectations exceeded! 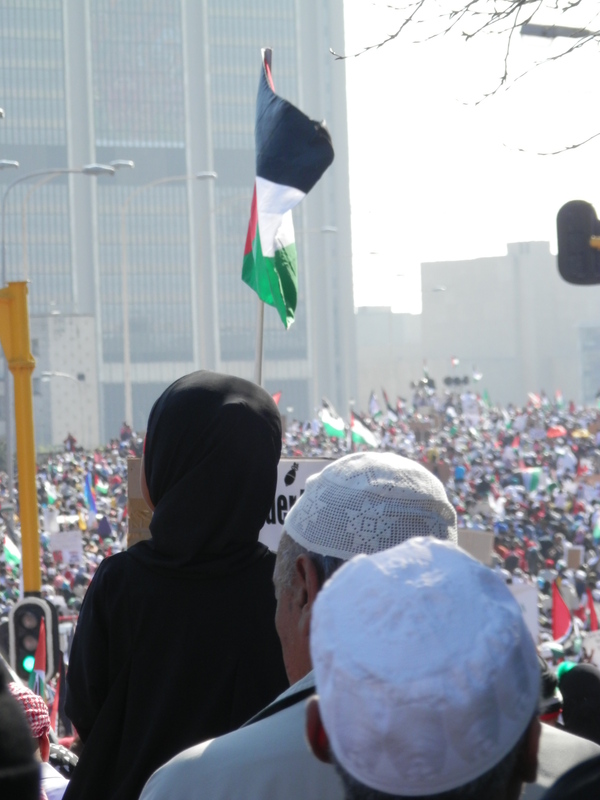 We hoped 100 000 people would join the march for Gaza on 9 August 2014. We were wrong! 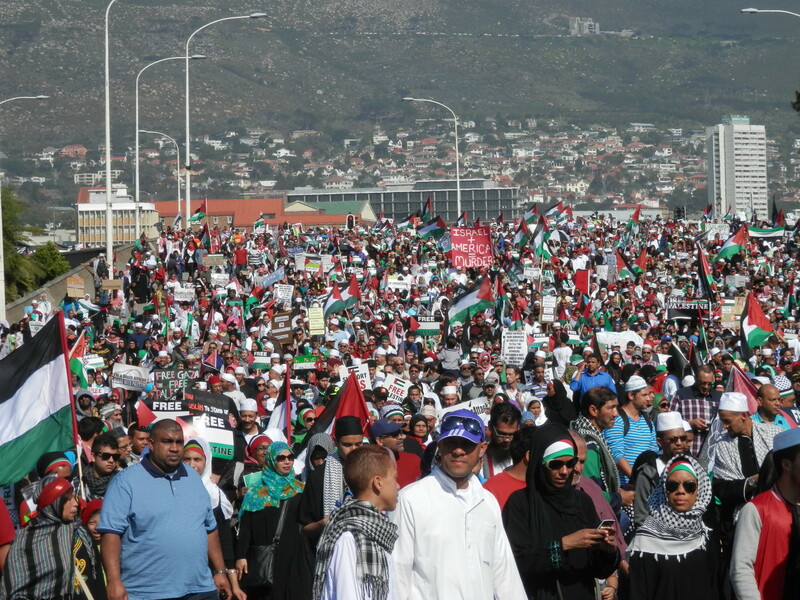 While an accurate number of participants is not readily available, a Mail & Guardian photographer in attendance estimated there were “well over 100 000, possible even close to 200 000 people”. 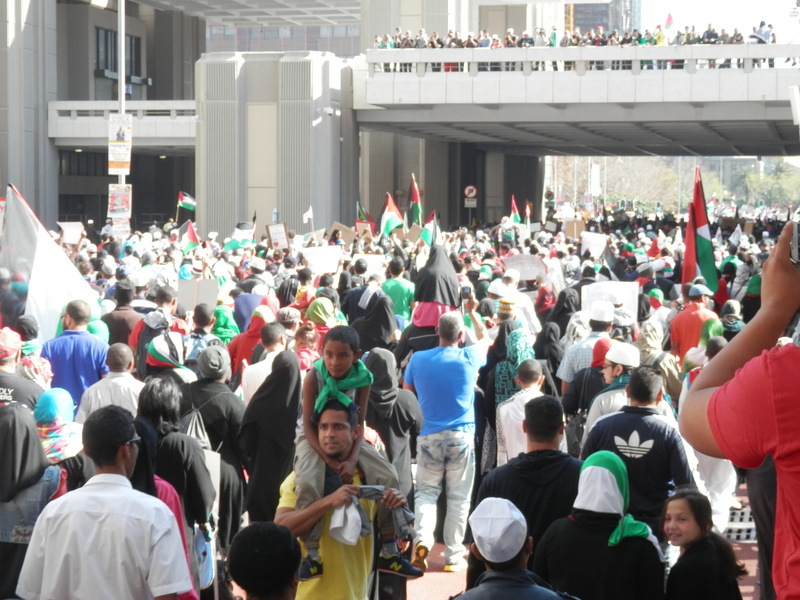 There is no doubt that the massive march was one of the biggest, if not the biggest, the city has ever seen. 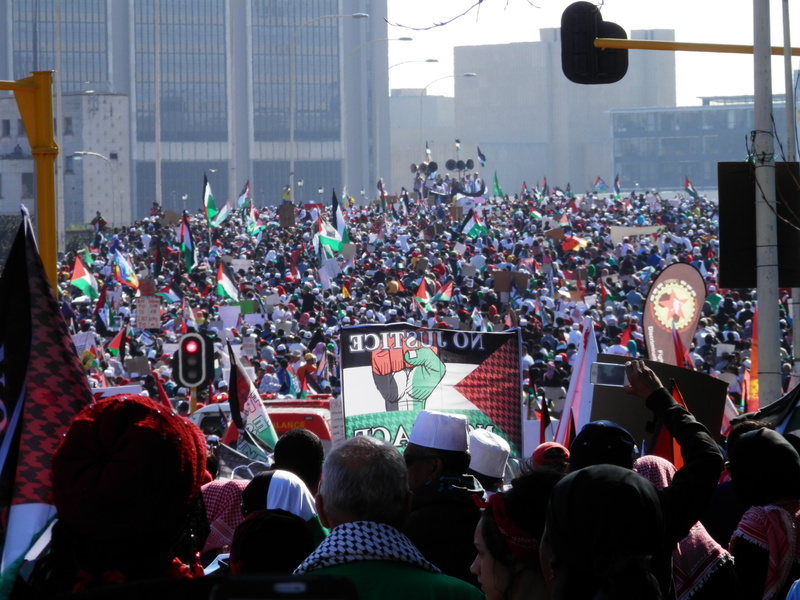 People came from different parts of the country – Benoni, Lenasia, Johannesburg, Durban, Pietermaritzburg, Port Elizabeth and many other places. 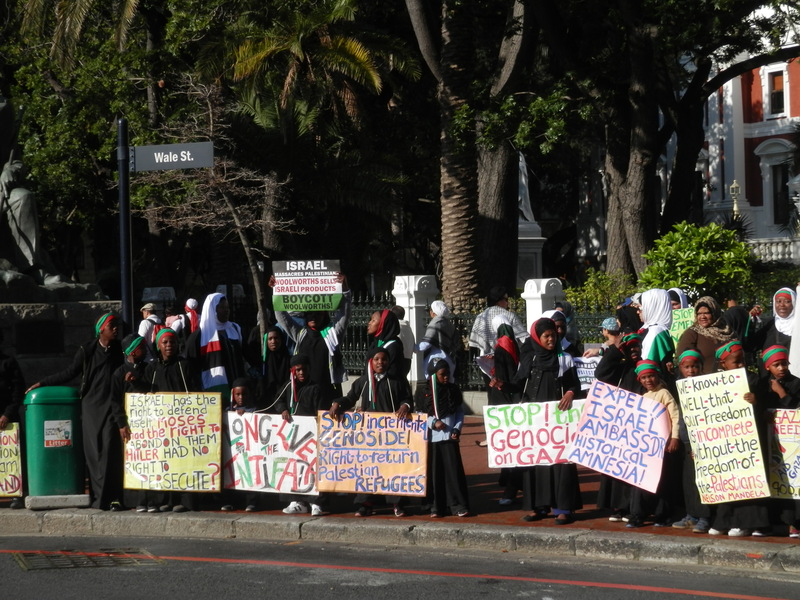 When the first marchers were half way up Adderley Street in the city centre, the tail had still to leave the starting point in Keizergracht. 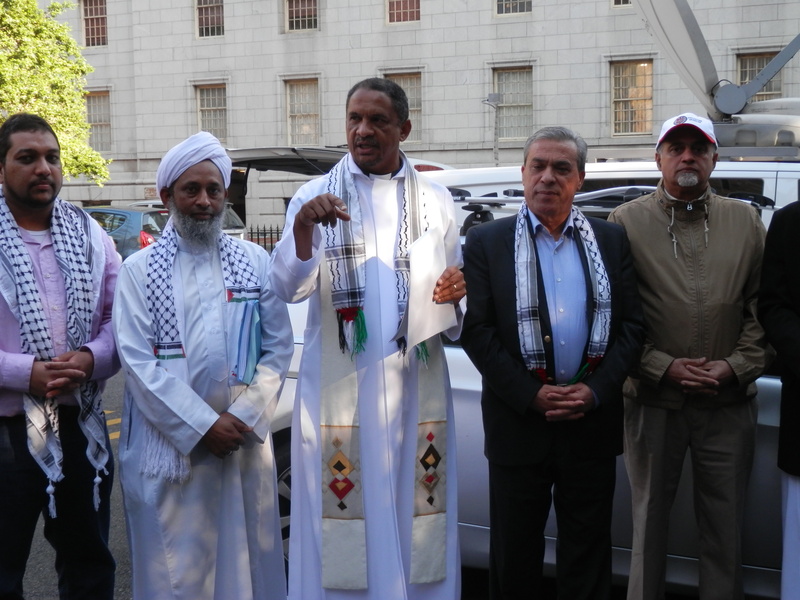 Two members of the National Coalition for Palestine’s (NC4P) steering committee with the Palestinian Ambassador to South Africa. 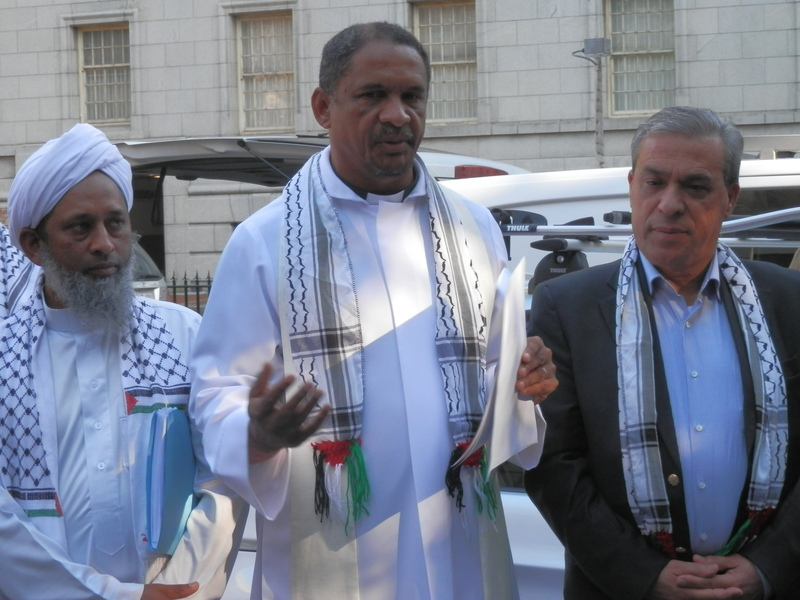 From left to right: Moulana Abdul Khalique Allie from the Muslim Judicial Council, Rev Edwin Arrison from Kairos Southern Africa, Abdel Hafiz Nofal from the Palestinian Embassy. 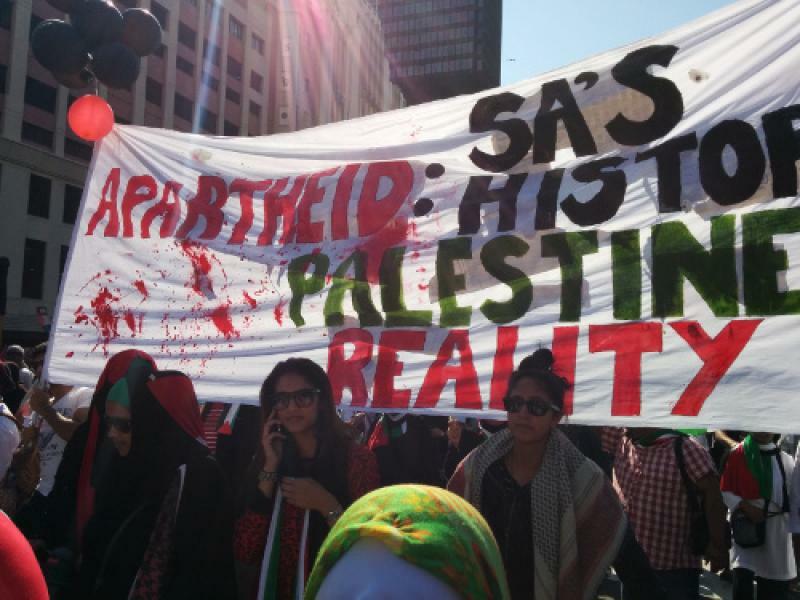 He accused Israel of behaving like a “barbaric bully” in Gaza. 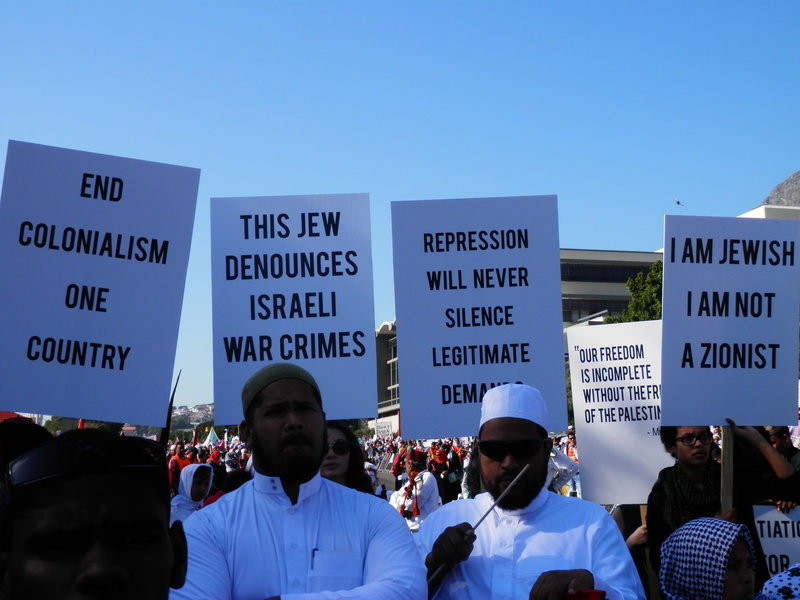 He also said that violence leads to violence, and rejecting the oppressive Israeli regime does not mean rejecting Jews. “We are not against Jews” he said as the crowd cheered him. The march was led by cyclists, a brigade and drummers. 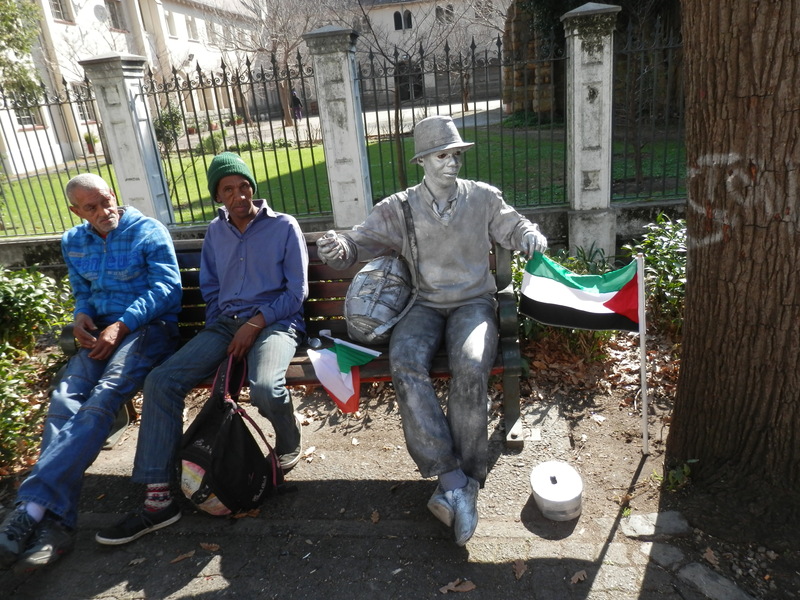 “We’re from Burundi, but we’ve come to add our voices,” said the spokesman of the drummers, who wore a T-shirt with the words “Africans understand colonialism” emblazoned across the front. 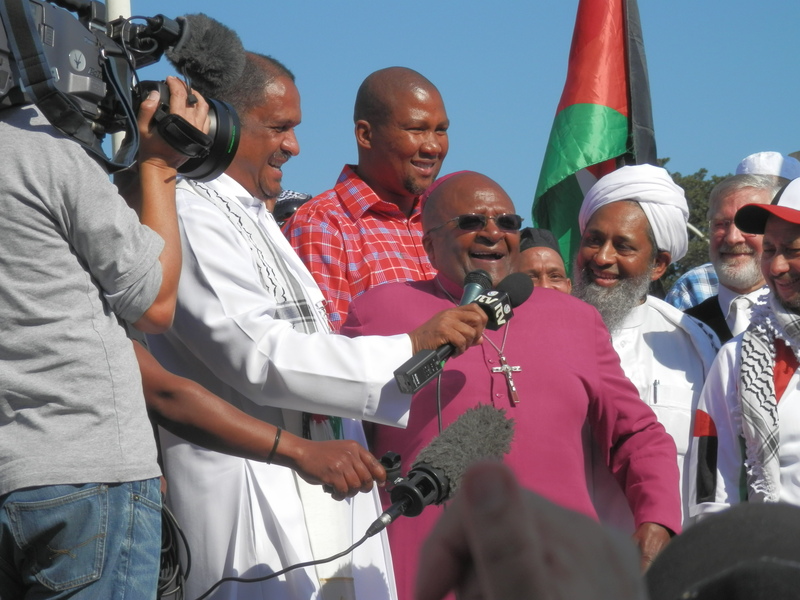 On our arrival at the South African Parliament, we handed our petition to Mr Mandla Mandela, a member of Parliament. 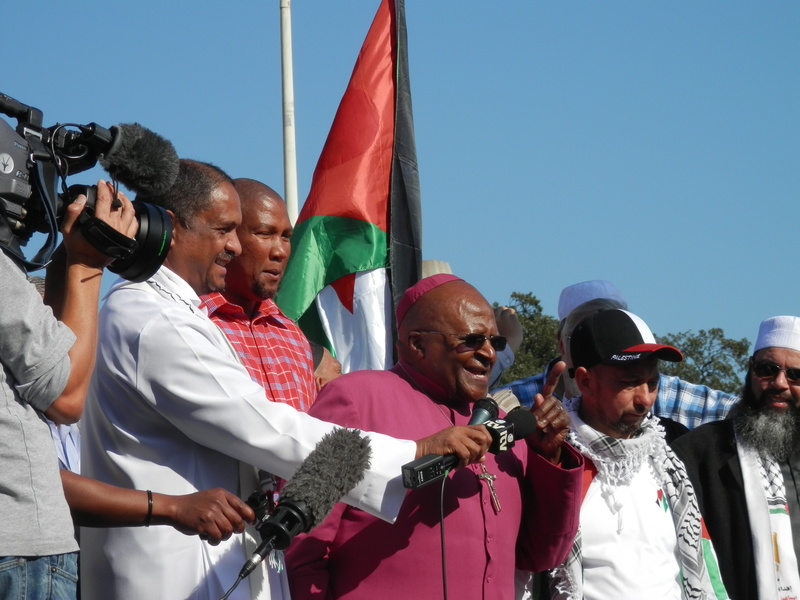 We asked for decisive action from the South African government against the Israeli attacks, killings, displacement and destruction of the Gaza Strip; and an international inquiry into the conduct of the Israeli forces in targeting and destroying humanitarian infrastructure in Gaza. 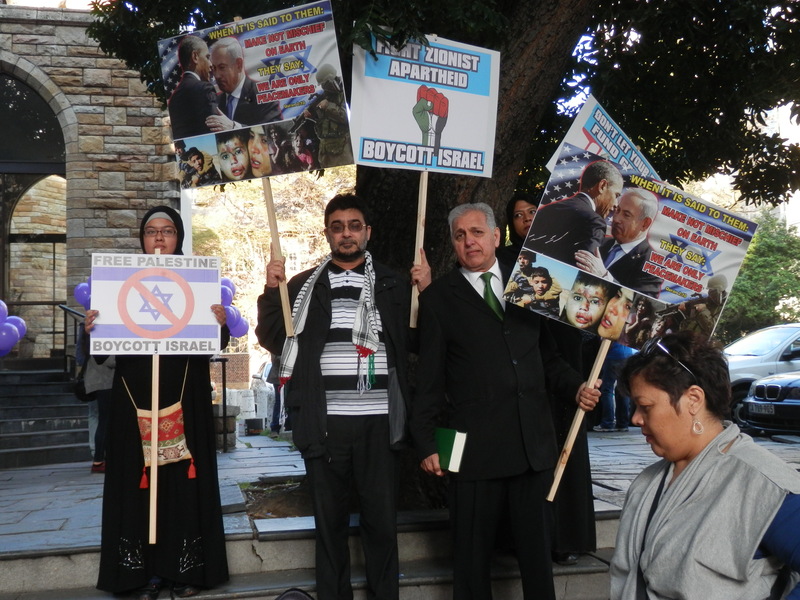 Several speakers also asked for the Israeli Ambassador to be expelled. 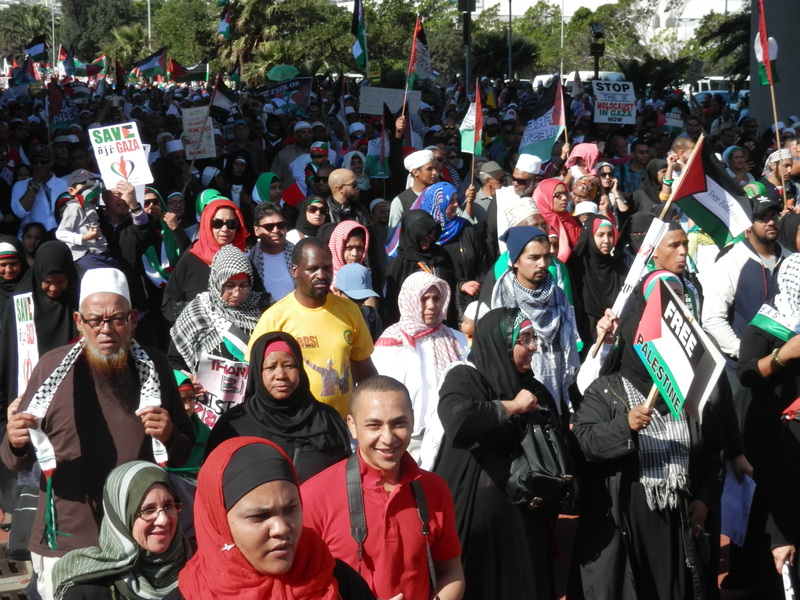 We as South Africans expressed our unity with Palestine. As a colleague said, maybe our government has not yet cut ties with Israel, but the people of this country have done so. The boycott of Woolworths also continues. 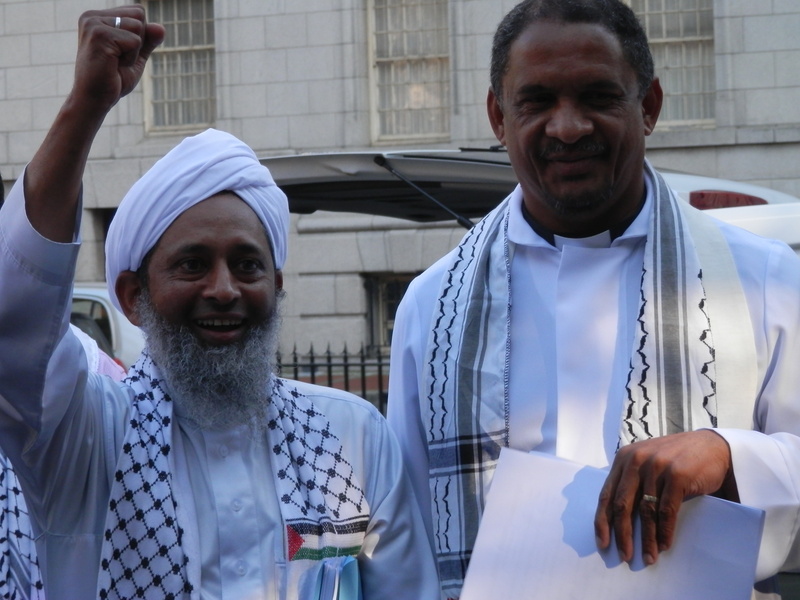 The peaceful, disciplined march was without any incidents. 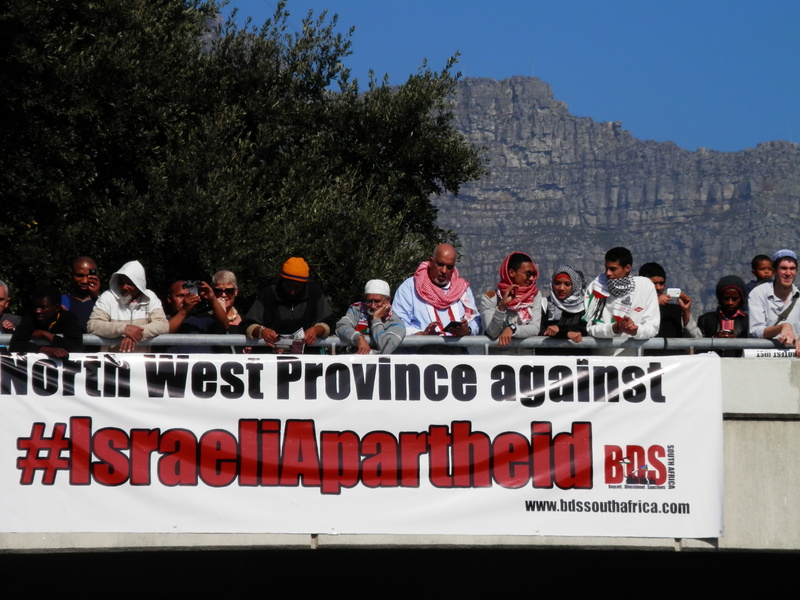 It was organised by the newly formed National Coalition for Palestine (NC4P) which consists of 30 religious and civil society organisations, trade unions and political parties. Thank you for the strong voice for peace ! Make it more practical to bring peace ! INSPIRING! 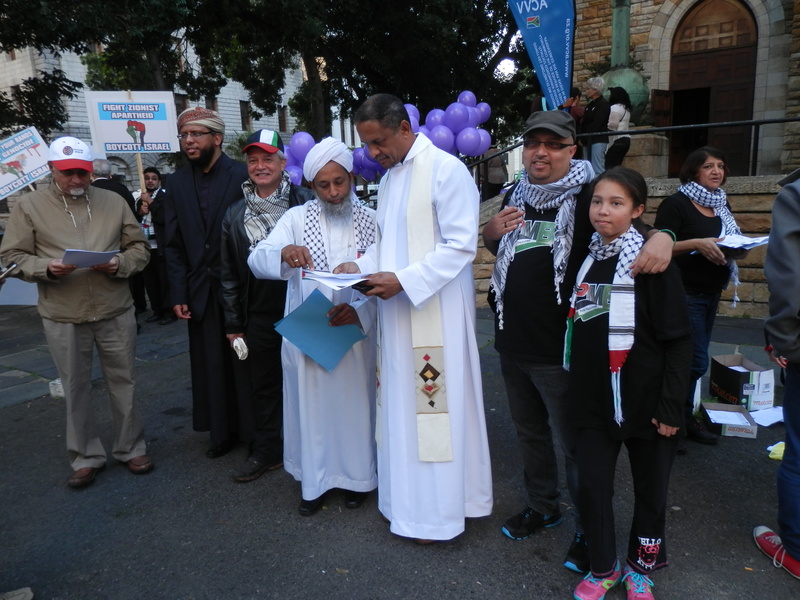 THANKS BE TO GOD AND THE SOUTH AFRICANS WHO UNDERSTAND BETTER THAT ANY WHAT IS HAPPENING IN PALESTINE.